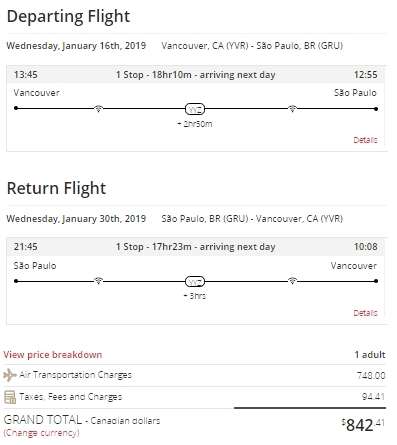 Air Canada and United Airlines have dropped the price of their 2019 flights from Vancouver to Sao Paulo, Brazil down to $842 CAD roundtrip including taxes. - Look for the dates that are $843 roundtrip. 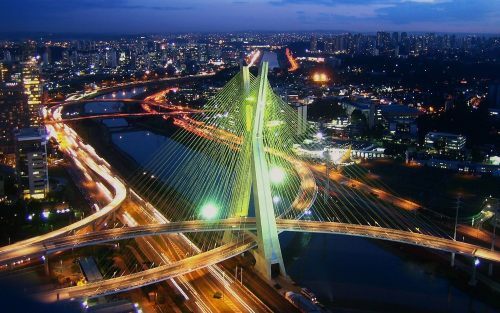 vancouver, yvr, flight deals, air canada, south america, united airlines, brazil, sao paulo and sao.